Miami Beach is currently enjoying its portion of the 2014 Art Basel worldwide exhibition, and as a special treat for historians and auto-enthusiasts, BMW has been showcasing two of its 17 classic Art Cars at the show. 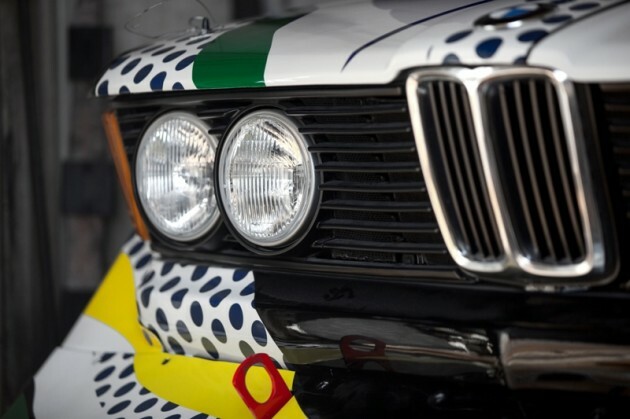 From December 4th the through 7th, two colorful cars are among the prestigious contemporary art pieces being shared by studios and museums from across the globe: Roy Lichtenstein’s BMW 320 and Michael Jagamara Nelson’s BMW M3. VIP attendees will be able to ride in their own BMWs thanks to shuttle service in the latest 7 Series vehicles. But wait–BMW’s Art Basel partnership doesn’t stop on December 7th! They’ve announced a new, joint initiative to support emerging artists through global exploration. Cold Conditions:How does the BMW i3 handle the snow and ice? 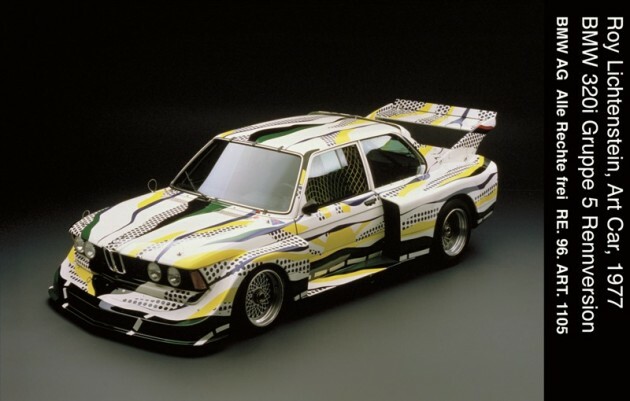 In 1977, New York artist Roy Lichtenstein–a father of American pop art–designed the third car in BMW’s series with white and yellow streaks, accented by black dots. The concept behind it was a depiction of the road and countryside from a moving car’s perspective. After being designed the car actually competed in the 24-hour race at Le Mans. Talk about art in motion! Another colorful vehicle which merges fine art with automobile design and technology is a much different M3 Group A by Australian-native Michael Jagamara Nelson. This beauty got painted after retiring from Australia’s motor racing section, and was actually driven in multiple Championship races (AMSCAR and Mobil 1) before being immortalized as a work of stationary art in 1989. 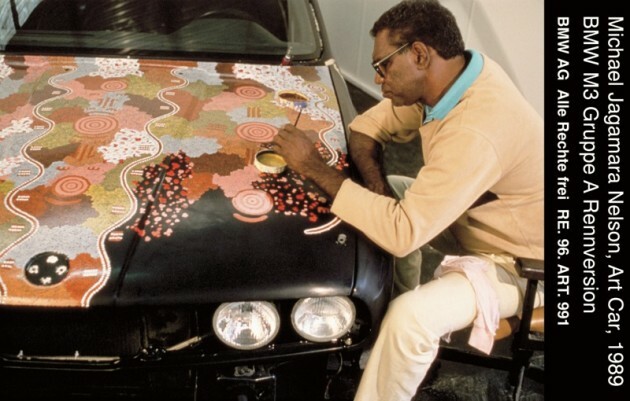 Michael Jagamara Nelson took his creative heritage and employed Aborinine shapes and symbols from the culture (what’s called Papunya art) to cover a black M3 through seven days of work. While the shapes appear abstract, Nelson claims they are animals and landscapes seen through dream-like religious myths. The Art Basel partnership will continue with the BMW Art Journey, a global collaboration which will send emerging artists around the world. The intent is to spark creativity in artists who show promise by sending them into places to conduct research, gain inspiration, and produce new work. To be one of the lucky artists who gets selected twice a year, your work should appear in an Art Basel show in Miami Beach or Hong Kong. Then, you’ll be selected by an expert jury to submit a proposal before being crowned a recipient. We won’t hear the first one announced until summer of 2015, however. But the world will get to see the journeys documented and published, so even if nothing revolutionary comes of them, BMW will still have something to market along the way.